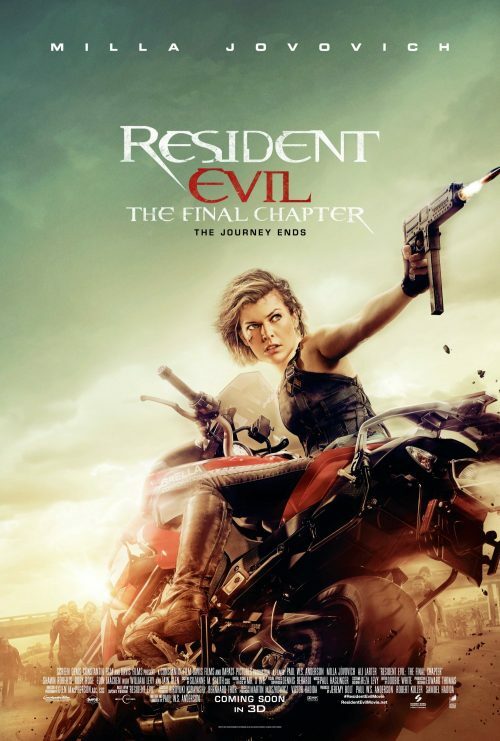 The brand new, international, poster for Resident Evil: The Final Chapter has arrived. What does it show? Well, apart from Alice on a motorbike shooting at something behind her whilst heading towards something nasty? Not a lot actually!